British shower expert Roman has brought back their Decem Victoriana Collection with an updated design. Victorian and vintage styles have continued to fascinate us. Roman has successfully combined the best design and cutting-edge technology to create a shower enclosure with a Victorian approach. This stylish period design matches exquisitely with traditional sanitary ware and tiles. The Decem Victoriana wetroom panels construct from 10mm glass and integrate self-closing hinges which deliver a remarkably smooth and luxurious door function. Furthermore, to provide simple, hygienic maintenance, it is coated with Roman’s Ultra Care glass treatment to repel dirt and grime. 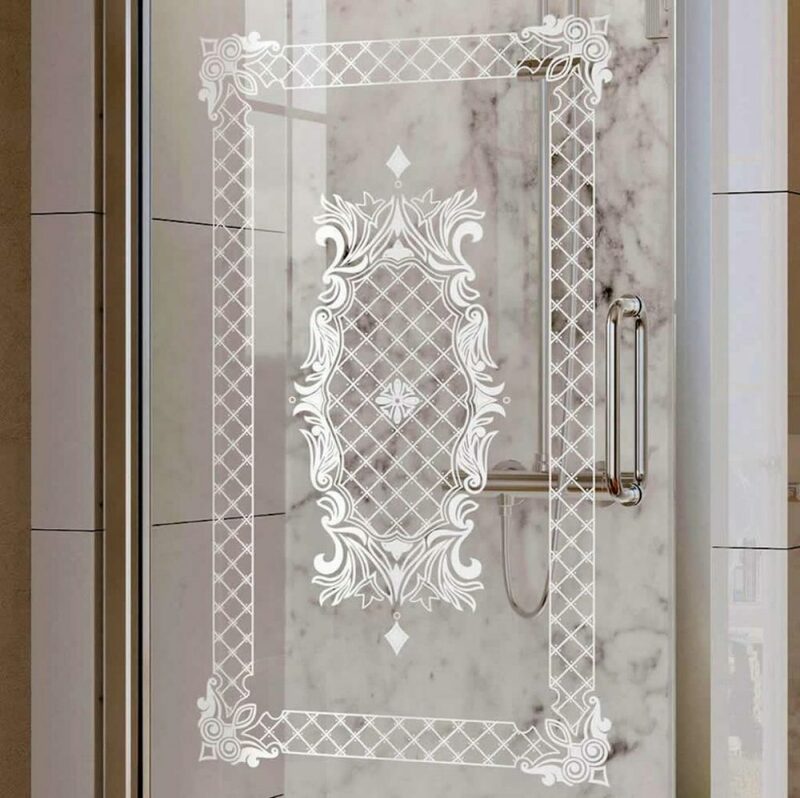 How Roman creates the perfect Victorian print on shower glass? Roman has been experts in showering solutions for over 34 years. To create the perfect print on their shower glass, Roman applies their advanced craftsmanship into the print creation process. During the toughening procedure, a white etch colour is actually fired into the glass. As a result, the etched effect provides a modicum of modesty, while also performing as a perfect association to the classical decorative style. This Neo Angle Shower Enclosure is the perfect space-saving solution. Provided in a symmetrical 900 x 900mm and a bigger 1200 x 900mm version, it is crafted from strong solid brass fittings, coated with a polished chrome finish. To match your personal needs, the shower panels are available in four widths of 1000, 1200, 1400 and 1600mm. The 650mm wide doorway is ample to allow access for everyone. Furthermore, to enhance security for the glass, Roman has considerately offered a chrome bracing bar free of charge. 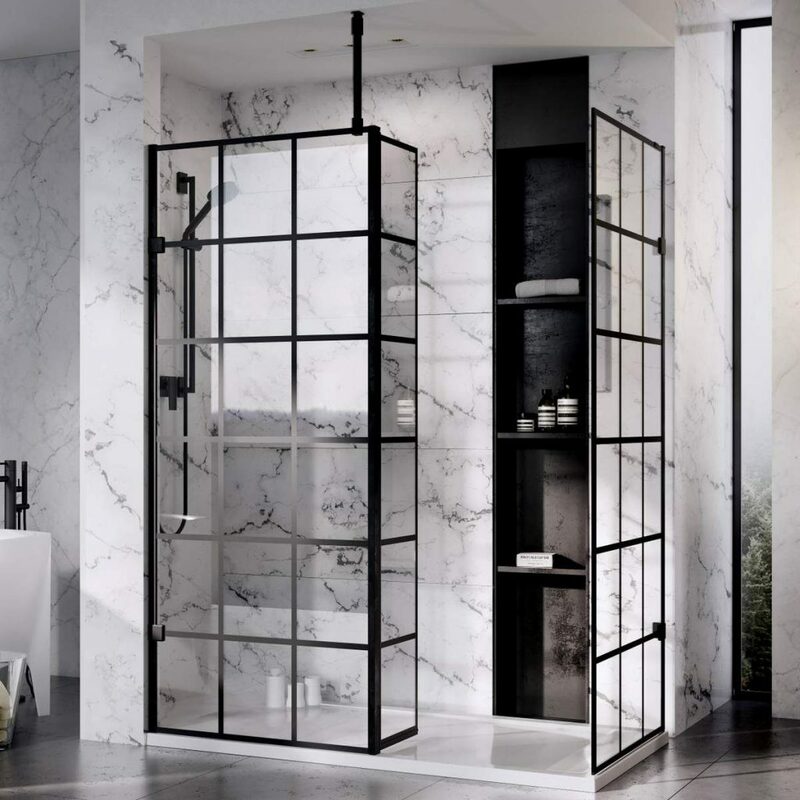 This frameless Hinged Door with side panel will make a stunning statement to your bathroom. Design to fit into a corner, the corner door shower enclosure comes with its matching side panel as part of the set. Also, the enclosure has been created to fill a square space 900 x 900mm. Alternatively, the Roman Decem Victoriana Print Hinged Shower Door is also available as 900 x 900mm. Not too sure what is the best option for your bathroom? Just get in touch with us on sales@ukbathrooms.com or call us on 01765 694 720. The Roman Lumin8 Bow Fronted Quadrant Shower Enclosure is a graceful and elegant sweeping shower enclosure which has been designed to fit into the corner of your bathroom. Subtly silver framed sliding door mechanism has a great build quality and the 8mm safety glass has been coated with easy to clean Ultra Care finish. The Roman Lumin8 Pivot Shower Door is perfect for an alcove space that has been turned into a self-contained shower unit. The door itself has is hinged slightly off centre which will take care of a small interior. Again manufactured with 8mm safety glass coated with Ultra Care protection, it can also be supplied with side panels so a shower can be fitted to a corner wall space. 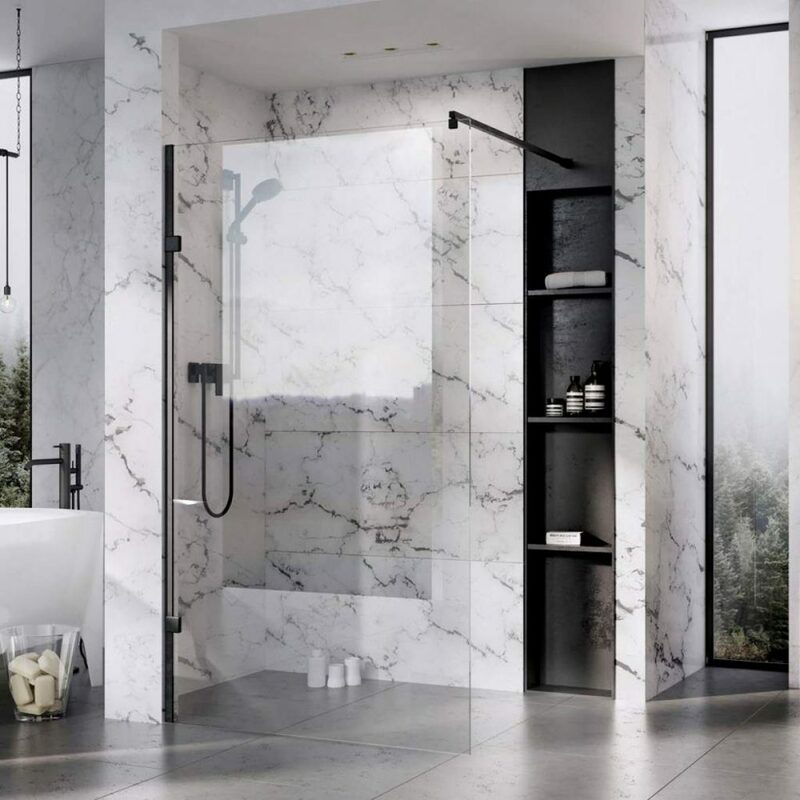 Roman Lumin8 Wave Walk in Shower Enclosures have been described as being as cool as a wave due to the clever and stylish design crafted from two curves of glass, together with an inward swinging door to ensure that valuable space is not taken up in a smaller bathroom. The unit is semi frameless and incorporates its own shower tray, is again manufactured using 8mm safety glass and in common with other Roman products carries a lifetime guarantee. Check out the other stunning Roman items that have been added to our web pages, all at our unbeatable prices. If you have the space, or you can redesign your bathroom or en-suite, then installing a walk in shower is a great option to choose. With a walk in enclosure the user gets room to move whilst showering and also avoids the feeling of being closed in, which many do not like. The Roman Collage walk-in shower panels are available in corner and linear panels and can be installed directly to a dedicated shower tray or straight to the floor; they are also offered in a range of sizes. The height of the panel is a generous 1830 mm, constructed using 8mm safety glass, in a sliver frame and is fully reversible for left or right hand fixing. For the larger panels, 1000, 1200, 1400mm these are provided with standard chrome bracing bar kit allowing adjustment up to 760mm from the wall. With the Roman Collage you will have a lifetime of luxury when taking your shower. A steam shower can aid minor aches and pains such as muscle pain, a steam shower also naturally exfoliates the body and so a steam shower provides you with a multitude of health benefits. You can have a steam shower anywhere in your home as long as you have the space for one, you do not need to be restricted to having a shower in your bathroom. However, adding a steam shower can give your bathroom an air of luxury as it is aesthetically pleasing and offers a whole new showering experience. The Orlando 900mm steam shower cabin is a very popular design; it has many exclusive features including your own FM radio with CD/mp3 input, low voltage ceiling light, with LED lighting and a built in seat. The shower valve is thermostatically controlled and the cabin has ozone sterilisation, with a multi function hand shower. The Orlando is always going to make a stunning statement in any bathroom and your body will thank you for choosing a stunning steam cabinet. One of the UK Bathrooms top packages the Roman Orbital One shower enclosure can be supplied with left or right opening sliding doors. Utilising only 800mm of wall space the Roman Orbital design gives a generous 900 x 900mm offering a real sense of space, this is because of the Orbital Range of Quadrants, gives a more curvaceous arc results in a larger showering space. 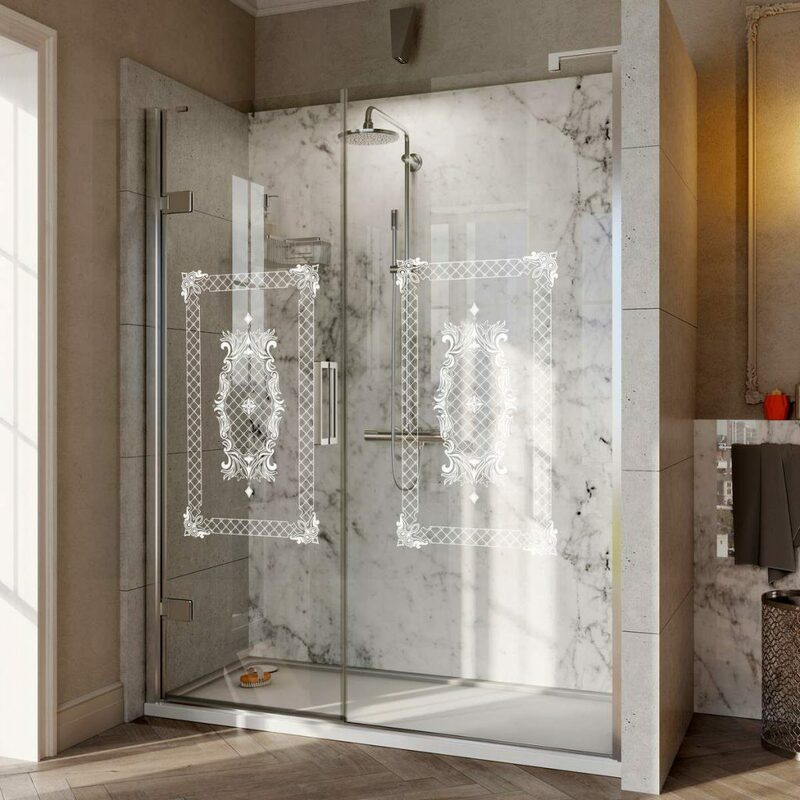 This enclosure is fully approved for use with power showers and steam generators, has frameless 6mm thick doors with smooth running roller bearings, with6mm curved panels which bond directly to shower tray. Supplied with an optional removable panel and adjustable feet, these curved trays feature a 13mm tiling upstand on straight sides with a high quality rigid reinforcement system coupled with the luxury and durability of an acrylic surface. Roman trays are a breakthrough in tray technology, solid heavy duty trays which are highly impact resistant. The complete alternative to the shower curtain, first choice for the discerning is a fixed shower screen for your Overbath shower. A fitted screen has many advantages over a curtain, which although it is a cheap method to have the benefit of an Overbath shower if you do not have the room or facilities to have a shower cubicle fitted in your bathroom. However, curtains do have a number of drawbacks and fitting a designer shower screen has to be the best way if you have an Overbath shower system. The elegant Roman Collage Extended Curved Bathscreen is available in a number of options and rotates through 180° for access and convenience. With a height of 1500mm above the bath, in silver or white frame, 5mm thick glass, reversible for left or right hand fitting and suitable for all standard bath mixers or for an electric shower installation.